For anyone who grew up in the 50s, 60s, 70s, 80s or even 90s, the modern classroom makes for a fascinating place. Technologies which were once essential – black/whiteboards, overhead projectors and more – have fallen out of favour. In their place is a raft of exciting, innovative and thoughtful technologies which make the act of teaching easier and democratise the classroom, giving every young person the opportunity to learn effectively. Although the basics of teaching remain the same, technology has stepped in to make getting your message across to kids and helping to stick in their minds easier than ever before. 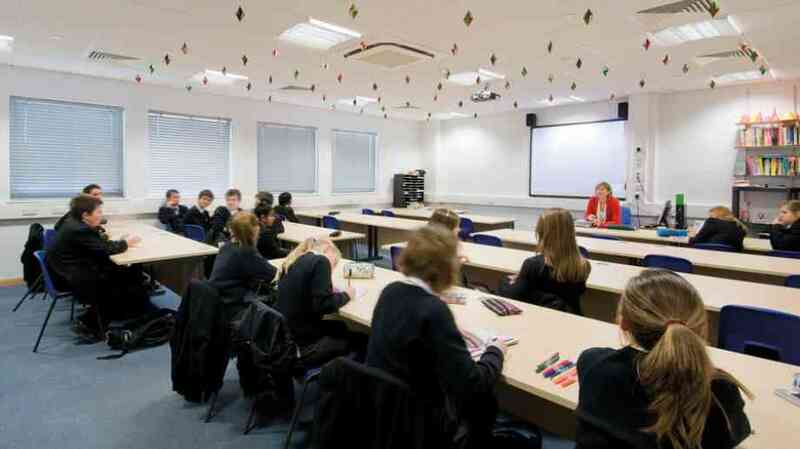 At KPMS, we supply educational establishments around the country with affordable, ground-breaking AV equipment that helps students and teachers alike get the most out of their time. Projectors have become essential classroom tools over recent decades thanks to an increasing reliance on computers and other technology in our teaching environments. Replacing clumsy overhead projectors, which required specially printed sheets of plastic to operate, a projector plugs directly into a laptop or PC and projects whatever images display on those screens instead. It opens up your classroom to a whole new world of teaching one which including videos, live video chats, online teaching resources and so much more. The freedom that a projector offers your teaching staff can’t be underestimated and ensures that projectors are a vital part of the modern classroom. Smart boards, like those offered directly from us, work in conjunction with your projector to enable a new level of interactivity in your classroom. Rather than merely displaying images, a smart board allows your teachers and students to interact with the image directly, thanks to advanced touchscreen technology. Not only can students and teachers navigate the PC from the screen itself, opening up a huge number of educational experiences, but can stop at any point to draw on the screen with digital ink. Teachers can use this to highlight important aspects, draw attention or simply treat the smart board as a traditional whiteboard. Visualisers are a relatively new addition to classrooms, but their features make teaching and learning significantly easier. Taking the form of digital cameras on adjustable arms, with features like freeze-frame and digital zoom, they’re used to display live video to the whole classroom, no matter where your students are sat. Together with your projector and smart board, a teacher can students exactly where to look on their worksheets, how to safely perform a science experiment or, well, anything else. The sheer versatility of visualisers make them essential for the modern classroom, so don’t get caught out in the new educational environment.